Honestly, it wasn’t as hard as I thought it was going to be! I did split it up between two nights, though, mostly because I needed to fit in my little photoshoot. Just try to resist scraping all of the marshmallow gooeyness out of the bowl, as pointed out by Smitten Kitchen, because sooner or later you’re going to be covered in the stuff. 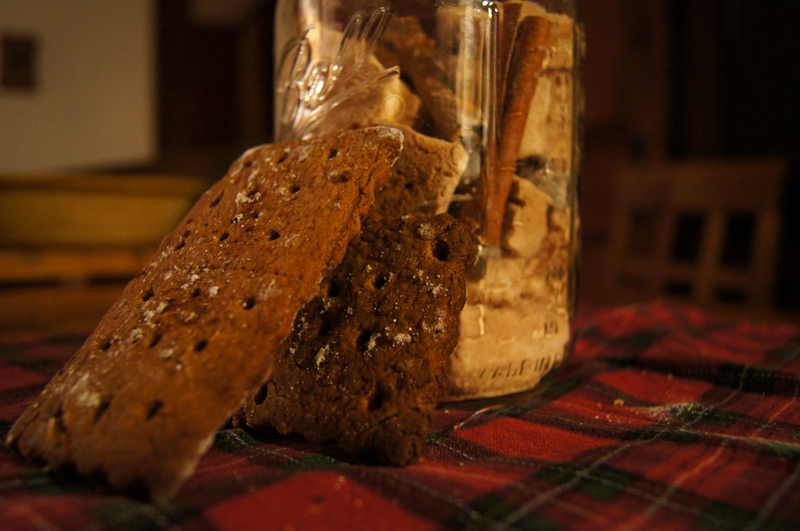 On the first night, I made the marshmallows and chilled them, to be cut the next day, and prepared the graham cracker dough. 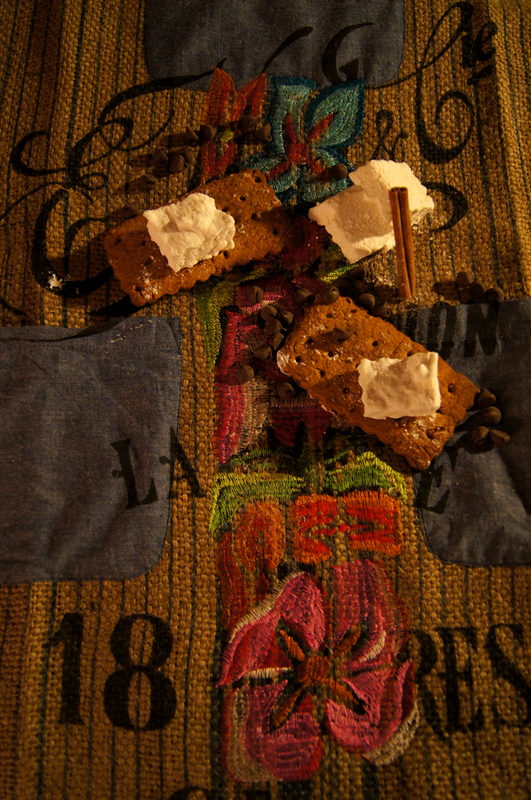 Then, the next night I cut and sugared the marshmallows, and decorated and baked the graham crackers. And I went crazy taking photos with my new DSLR camera! Up until now, the majority of my photos on here were taken with my iPhone. The image quality is good considering they’re from a phone, but not quite up to par with how I wanted to show my photos to be. 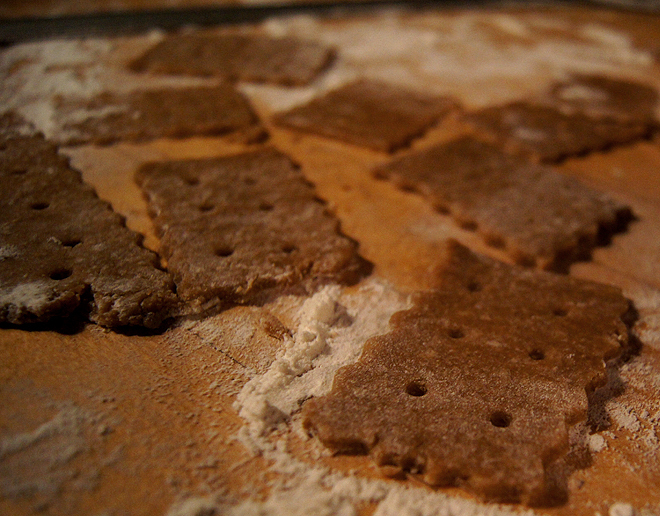 So…two nights of baking and crazy photo-taking after full days at work, followed by another day of work. 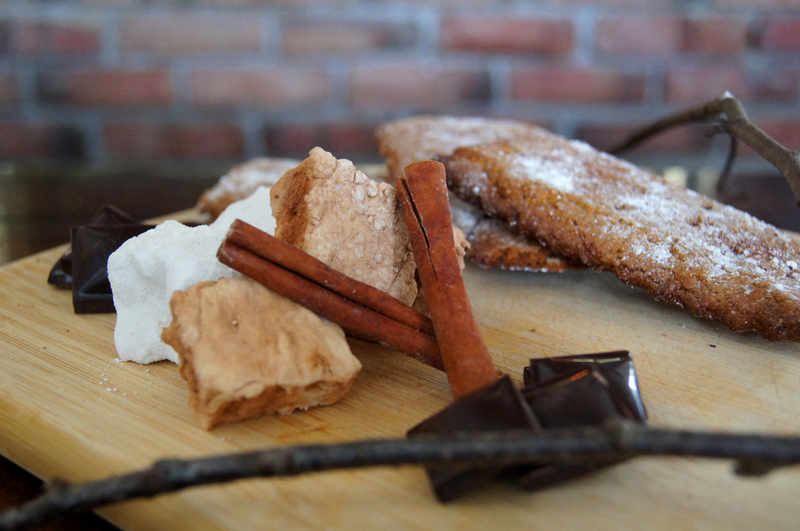 Mid-week tackling of homemade s’mores and photos may not be for the faint of heart…it was slightly exhausting. 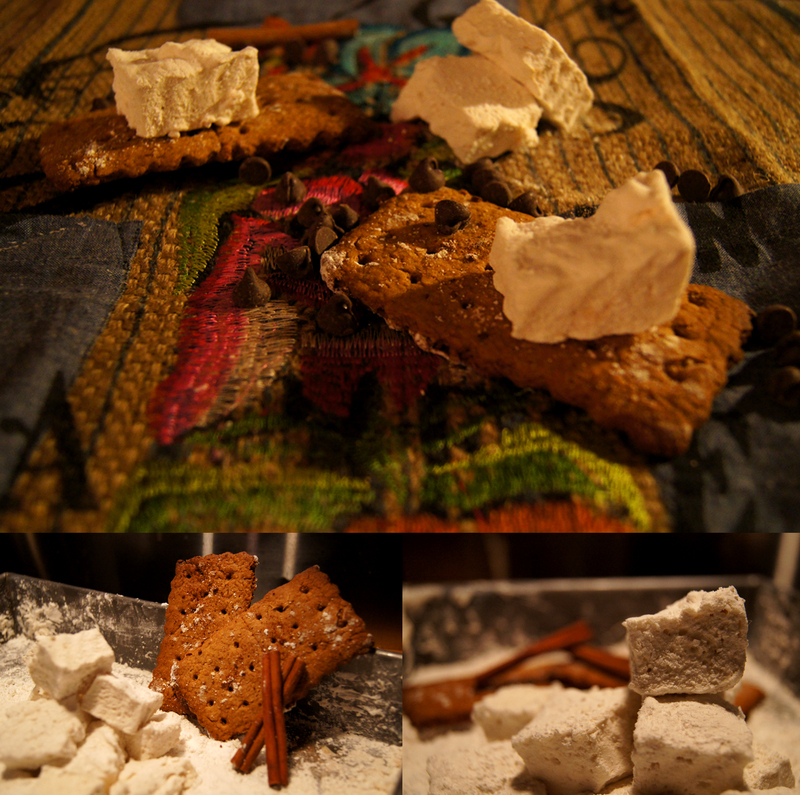 There are so many fun variations for the marshmallows that you can do. At the end, you roll them around in powdered sugar, but you could also use cocoa powder, or powdered sugar with toasted coconut flakes (you can find coconut without sugar or other ingredients added), or sprinkles, etc. Just as long as there is some sort of powdery base to cover the marshmallows, you’re good to go! You can also use different flavorings instead of vanilla, such as mint, almond, chocolate, and so on. 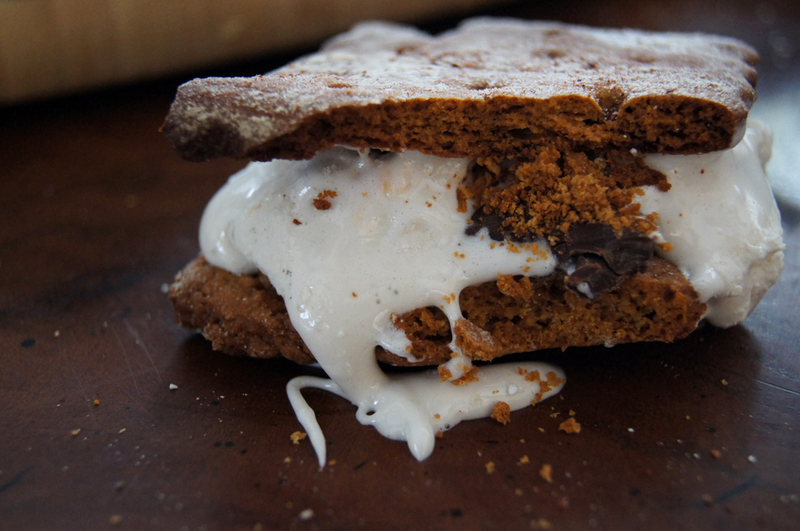 SO although marshmallows are far from a healthy dessert, who can really resist s’mores? So I bought some organic powdered, dark brown, and cane sugar to retain as much of sugar’s nutrients as possible, rather than the bleached, refined stuff. Even dark brown sugar sometimes is white, refined sugar with molasses added to it, rather than creating brown sugar without chemically refining, but organic brown does not start out white.There is corn syrup here, but not the high fructose kind. I’ve included the recipe from Smitten Kitchen, and added a few notes of my own throughout. 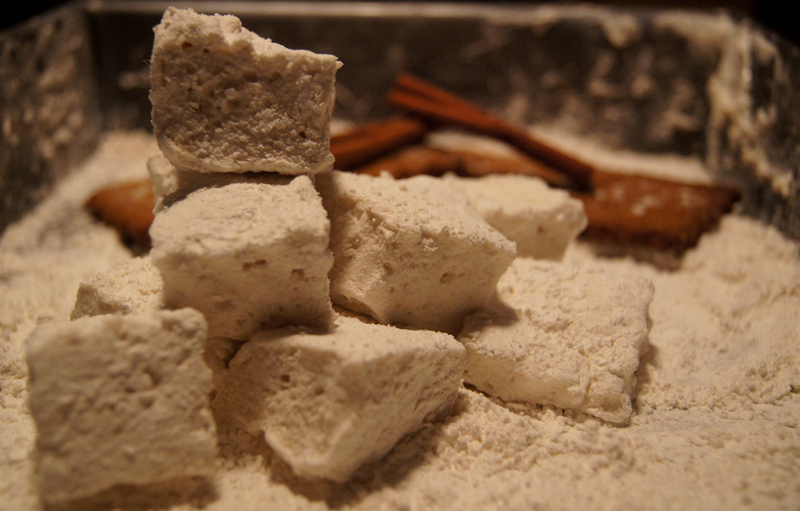 The marshmallow recipe is adapted from Gourmet, December 1998. With standing or a hand-held electric mixer beat mixture on high speed until white, thick, and nearly tripled in volume, about six minutes if using standing mixer or about 10 minutes or more if using hand-held mixer. In separate medium bowl with cleaned beaters beat egg whites until they just hold stiff peaks. Beat whites and vanilla (or your choice of flavoring) into sugar mixture until just combined. Pour mixture into baking pan and don’t fret if you don’t get it all out. Sift 1/4 cup confectioners sugar evenly over top. 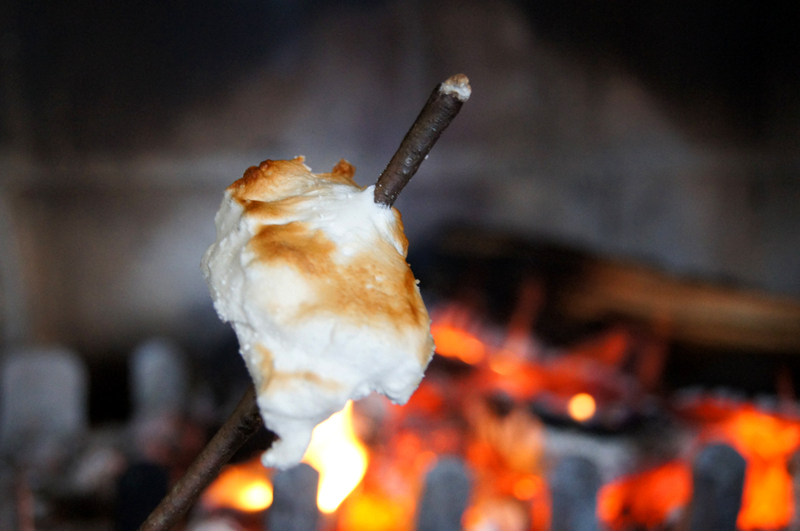 Chill marshmallow, uncovered, until firm, at least three hours, and up to one day. Decorate the crackers: Mark a vertical line down the middle of each cracker, being careful not to cut through the dough (again, this is for the traditional cracker shape). I read the directions too quickly and started doing this before freezing them, and ended up splitting a lot of the crackers in half, as you can see above. Using a skewer, prick the dough to form two dotted rows about 1/2 inch for each side of the dividing line. I used a cheese cutter to get the funky wavy lines. Improvise with whatever you’ve got! Bake for 15 to 25 minutes, until browned and slightly firm to the touch, rotating the sheets halfway through to ensure even baking. The blog I got this recipe from used 15 minutes because their oven is very hot, but mine is older, so it took closer to 25 minutes. 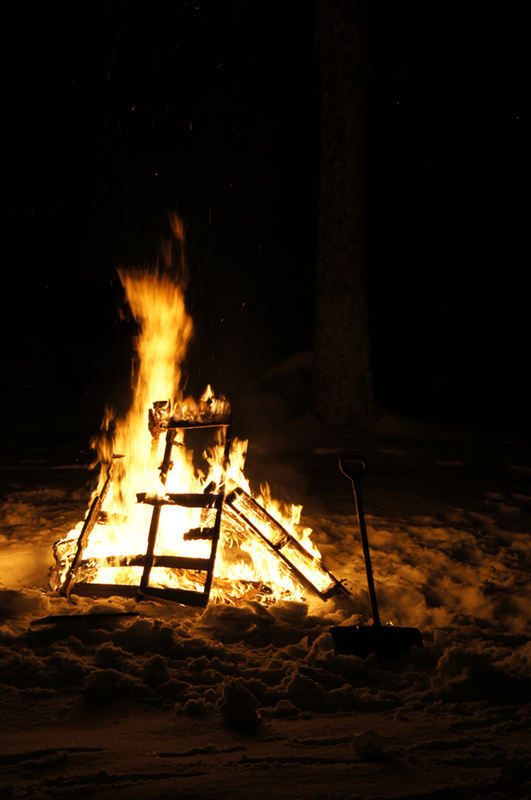 Be sure to check on the crackers, because they could sneakily burn and that wouldn’t be any fun! Last but not least, be sure to save plenty for you to enjoy yourself! This is a labor of love. I brought an assortment of dark chocolate with me to Vermont: plain dark chocolate, spicy chili dark chocolate, mint dark chocolate. I also brought honey peanut butter…YUM!!! Other tasty variations would be salted caramel chocolate, lavender blueberry chocolate, sprinkling toasted coconut inside, etc. 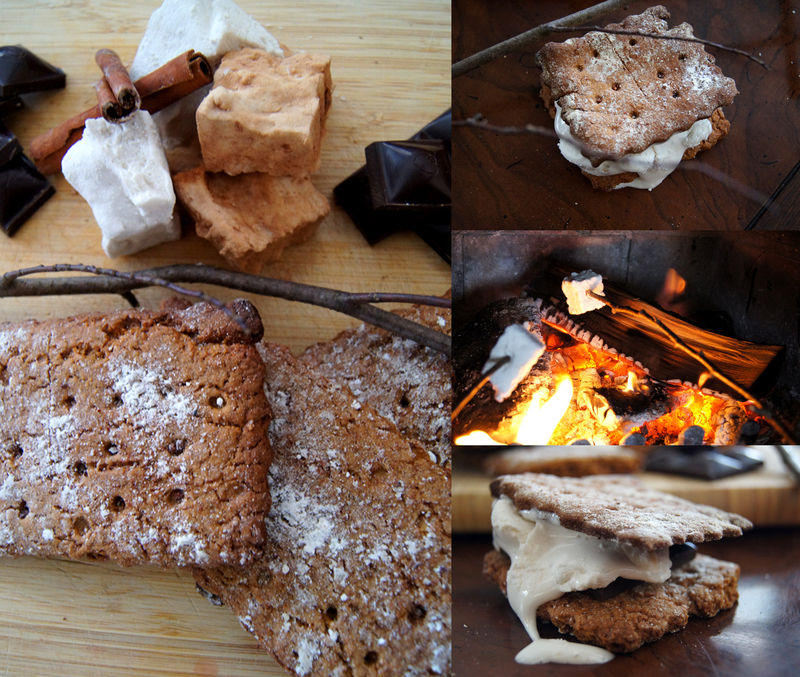 Taking s’mores to the next level!! 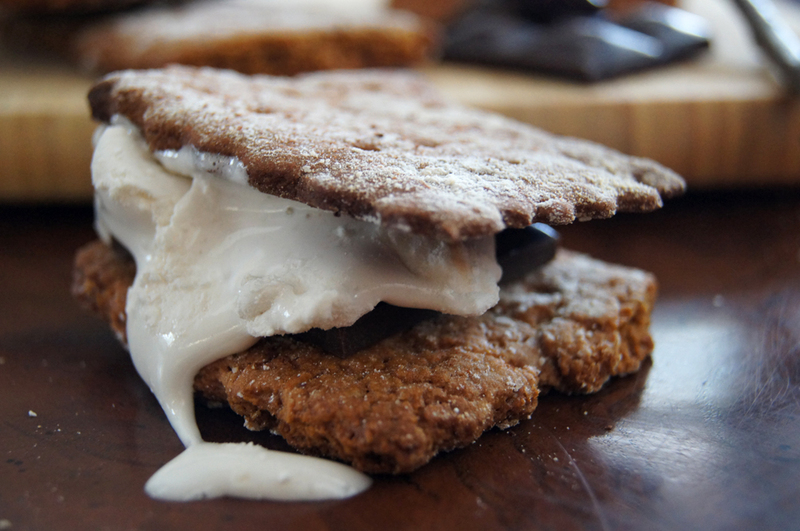 Are you going to try homemade s’mores?? I’d love to hear about it!